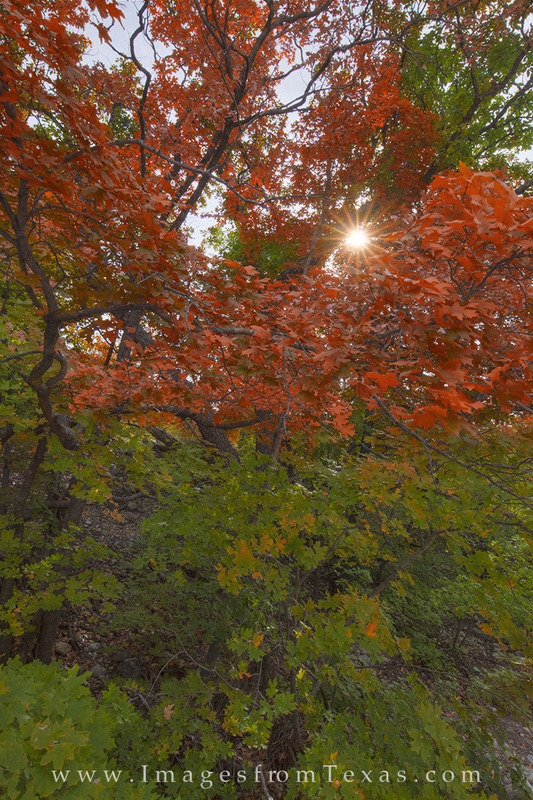 As if a Christmas card, bigtooth maples in Guadalupe Mountains National Park show both brilliant reds along with green leaves that haven't changed colors. This Autumn image was taken at the very end of October and displays some of the amazing fall colors that can be found in this remote and rugged west Texas region. Photo © copyright by Rob Greebon.